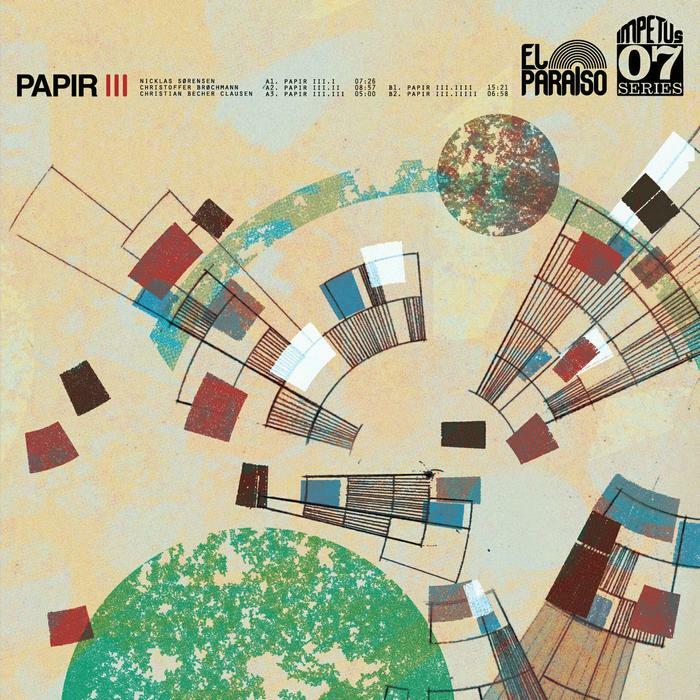 After 2011’s sprawling Stundum, Papir pulls things back a little for a less ambitious, but certainly more focused effort here on their third album, simply titled III. Continuing on with their often lengthy psychedelic jams, the band adds a bit of shine to things this time out. Bright melodies weave through intricate rhythms, like the warm, golden light of sunset sparkling on dark waves. Comparisons of course can be made to their fellow Danish musicians Causa Sui. But the music of Papir has a lighter, breezier vibe to it. Not that these guys can’t rock. Just check out the searing guitar work and frantic rhythms in both the opening and closing cuts on the album. But whereas Causa Sui allow a heavier, fusion style vibe to creep into their sound, Papir goes for a nimbler, jazzier feel. Their sound is very rich and diverse, drawing influences from post rock like Tortoise and jam rock like The Grateful Dead. But I think the real catalyst that holds this band together and gives them their unique vibe is drummer Christoffer Brøchmanns. In my opinion, he is one of the finest young drummers working in music today. His ability to draw on Krautrock, jazz, heavy rock and post rock experimental rhythms, weaving them together in a complex but seemingly effortless manner provides the unique backbone to Papir’s sound, allowing Nicklas Sørensens’ guitar and Christian Becher Clausen’s bass the freedom to joyously explore many realms of psychedelic sound, whether they are rocking out or, in the case of cut III, mellowing out. I think it’s that unforced and graceful feel to Brøchmanns’ drumming, careening along the symbols and over the snare, rather than relying on a heavy beat, that gives the music its breezier vibe, regardless of what the other two musicians are playing. If you listen to all three of their albums in order, you can hear just how far Papir has come in just a few short years. III is a definitive statement for the band. A great place to start, or a fine addition to the Papir albums you already have.